Organic fruits and vegetables are coming on strong lately. They are available at larger numbers of markets around the country and the price, in many cases, is starting to be more competitive with conventional produce. 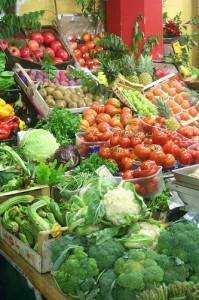 This is why over the last year or so, when we see stories about how organically grown offers few advantages to conventional and cost higher to boot, it has sometimes been tough to justify spending the extra effort to find organic produce as well as spend the extra cash to purchase them. Now a new piece of research is not only challenging the “organic is no different” notion when it comes to important nutrients that promote better health, it is also showing that organic tomatoes taste better too. This latest tomato study is showing impressively higher percentages of nutrient levels for the organically grown versions versus their conventional counterparts. 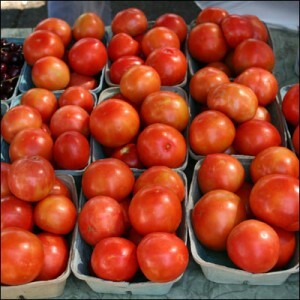 The French and Brazilian researchers, affiliated with France’s University of Avignon and Brazil’s Federal University Ceara compared organic tomatoes grown in the Northeast region of Brazil with conventionally-grown tomatoes grown in the same region under similar conditions. The scientists looked at many different factors including antioxidants, phenols, anthocyanin, flavoniods, vitamin C, enzyme activity, chlorophyll and peroxidation, pH and finally brix level, which is sweetness. 139% higher levels of total phenolic. 140% higher phenylalanine ammonia lyase levels, related to enzyme activity. 90% higher antioxidant potency as measured by superoxide dismutase levels. Our work clearly demonstrates that tomato fruits from organic farming have indeed a smaller size and mass than fruits from conventional growing systems, but also a substantially better quality in terms of concentrations in soluble solids and phytochemicals such as vitamin C and total phenolic compounds. Until recently, the focus has been mainly on yield rather than on gustative and micronutritional quality of fresh plant products. This might be all right for staple food, but, as far as fruits and vegetables are concerned, it may be argued that gustative and micronutritional quality matter more than energy supply. Our observations suggest that, at least for fruit and vegetable production, growers should not systematically try to reduce stress to maximize yield and fruit size, but should accept a certain level of stress as that imposed by organic farming with the objective of improving certain aspects of product quality. Better Taste. Better Nutrition. It’s Organic! What it comes down to is this — organic tomatoes can offer you a better value if higher nutrient levels and better taste are attributes you consider important. Additional research is being conducted to take measurements from a wide variety of organic versus conventional produce and we will publish those study results as they become available. Meanwhile, how about a V-12? Here’s a very tasty tomato cocktail recipe, similar to one you are no doubt familiar with, however this one is totally fresh and alive with enzymes and nutrients like no other. 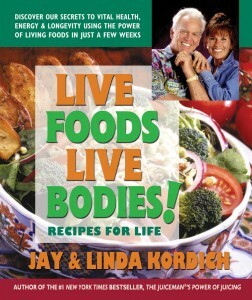 This comes from Jay and Linda’s book, Live Foods Live Bodies, Recipes For Life, new and updated for 2013. Look for it on page 181. Juice the spinach, parsley, and cilantro, bunching up the greens as you feed them through the machine. Then juice the tomato, red pepper and garlic. Finish by juicing the carrots. Buy Organic – But What If You Can’t? We always urge people to buy organic, but when organic produce is not available, the benefits of consuming more fruits and vegetables will clearly out way the negative aspects of conventional produce. We highly recommend that you always wash your produce before consumption, especially if it’s conventionally grown. The Environmental Working Group, a Washington D.C. non-profit group of scientists, engineers and policy experts has compiled a list of what they call The Dirty Dozen. It’s the 12 fruits and vegetables, grown with conventional methods, that you should try your best to buy organic because they contain the most pesticide residue. This same group also compiled The Clean 15, a list of conventionally grown produce that has the lowest amount of pesticide residues. To see the complete list of both the Dirty Dozen and the Clean 15, click on this link to the EWG web page. You can also download your own printable chart of this list at this link. When you can’t buy organic, you should be aware of this list of fruits and vegetables and educate yourself about the level of pesticides on the produce you are purchasing. But as I said before, science has shown us it’s still much more important to consume a variety of fruits and vegetable on a daily basis regardless of whether you have access to organic produce or not. Add four tablespoons of salt and the juice of one-half of a lemon (this makes a diluted form of hydrochloric acid). 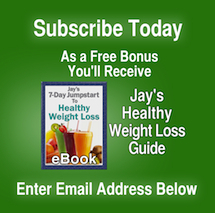 Soak fruits or vegetables for 5-10 minutes; 2-3 minutes for leafy greens; and 1-2 minutes for berries. Rinse well under cold water. That’s it, now continue to enjoy your freshly made juices on a daily basis and receive all the great health benefits!